How Much I Still Need to Learn ? Time has passed much faster than I thought since Oct last year. Before I entered IMonitor Software company, some friends had told me it would a hard time for me at the beginning, but who care? Thinking everyone would have same feeling with me when you are ready to engage one new job. Anyway the fact is what my all friends said is coming true. Really hard and tortured time from my job starting, so many things I don’t know and even worse is more things I never heard of. Until now still remember the first time my manager called me in, before entered his office, my mind and body has prepared to face some blame and mean words, but really not being ready to face all the cheering up and encouraging words. Thanks, Kevin, it is you let me feel warm and not disappointed myself again and again. Also after getting out of manager office, one thing I definitely confirmed, learning is a long road no matter how long you have worked and how much experience you have. But the point is how much I still need to learn? It is not a “who want to be a millionare” question, but still find hard to answer. Though I have learned much more than I can suffer, it is still not enough, being in such company, I find studying would be anywhere, sometime it seems I have been back my university time. Pushing is coming from myself, but also from my heart eager to knowledge. Another small step, but really important ! Posted on December 14th, 2009 in Uncategorized | Comments Off on Another small step, but really important ! About one month preparing and half a month developing, finally one new product of IMonitor Software Company has come into beta and test progress. Now let me uncover it, Anywhere Monitor, which is the first of remote monitor logging software in real sense. In one word, summarizing the key feature of AnyWhere Monitor is unlimited. What specific meaning of unlimited? It includes two part s of meaning, one is no region limitation and the other is no time limitation. Currently popular computer monitoring software, maybe so powerful and fully controlled, but these are only limited in local network. If customers is far from business local network, accessing to monitor and view logs would be impossible. 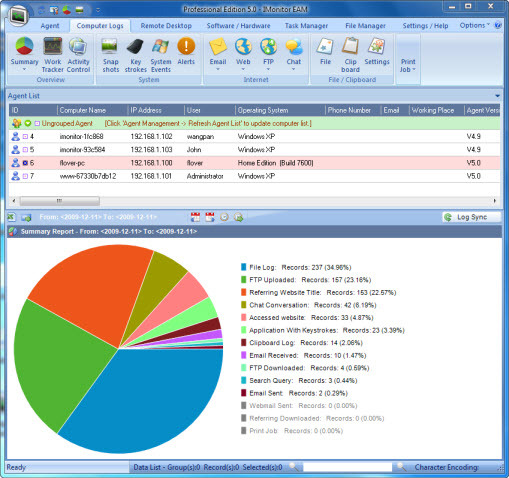 Comparing to other softwares, IMonitor Software Company provide customers with a perfect solution — Anywhere Monitor. Since Anywhere Monitor is a affiliated product of IMonitor EAM Products, it is absolutely seamless combination with IMonitor EAM Products. Being a “unlimited” remote surveillance software, Anywhere Monitor fully qualify the above required definitions. No region and no time limitation, no matter where customers are and what the time is, if customers want to check out remoted computer activities, it would be much simple and easier than ever, what customer need do is just point your browser to your personal Anywhere Monitor webspace address to view logs from any machines you deploy Anywhere monitor on. No any more remembering IP address troubles. And all the logs will be totally same with these you view on local network, so no any worry about missing anything. Below is the key features of Anywhere Monitor has, and other software don’t. Any activity of client computer will be synchronized with local server, and then local server will send everything of clients activities to our Anywhere Monitor webserver in the mean time. That synchronized process would happen in real-time or if client computer being offline, all the logs would be uploaded when it can access local server again. So customers do not have to worry about any missing logs. All logs would be uploaded web server with a secure encryption method, that means every log only be read when it is decrypted of web server. Besides that, Anywhere Monitor also provides powerful password protection to login. The whole login process would be within secure web encryption. So only having correct user info will have the right to access web server and view secure logs. For now, Anywhere Monitor is in deal time, much benefit back to our new and old customers, so why not go to see and find our by yourself. Deep Lock Coming Soon !! Posted on November 9th, 2009 in Deep Lock, Uncategorized | Comments Off on Deep Lock Coming Soon !! Do you always worry about your personal informations which is very important to you and never want to someone else to see? And how can you safeguard your privacy, store these in deep subfolder or set them hidden attibute? NO, all that you have done, definitely not enough for safe your sensitive files. You should take more care for that. Now IMonitor Security Company has provided a best way for you. Deep Lock is a new member of IMonitor Security Products which is a fast file encryption software that can password protect folders, encrypt or lock files. Deep Lock supports all currently popular OS like Windows 7.0, Vista, XP and 2000. Quick and easy, that would be Deep Lock leading feature. The way to lock and protect your most important documents, pictures, passwords and more inside of impenetrable folders encrypted with powerful 256-bit AES encryption—so you won’t have to worry. Encrypting Files Has Never Been Easier and Faster. Also Deep Lock support multiple accounst in one computer. You can create as many Lockers as you want. Different users can create different Lockers with different passwords as well. Each user has personal setting with Deep Lock. If you have tried or used some software before, you should give Deep Lock a try. It definetly let you have a brand new and shocked experience. Related official website would be updated soon. Miss You, Great Dancing Singer in My Heart !!! Posted on October 28th, 2009 in Uncategorized | Comments Off on Miss You, Great Dancing Singer in My Heart !!! ‘ He made the world dance. He made the music come to life ‘ quoting from some fans blog. Michael Joseph Jackson (August 29, 1958 – June 25, 2009), known as the “King of Pop”, was an American musician and one of the most commercially successful and influential entertainers of all time. His unique contributions to music and dance, along with a highly publicized personal life, made him a prominent figure in popular culture for four decades. 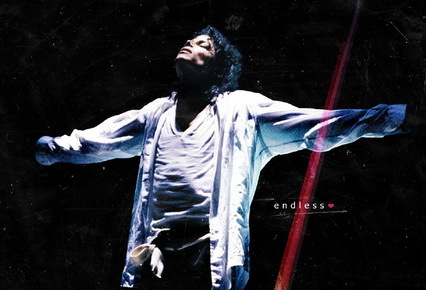 Since hearing Michael Jackson died news, everyone in our office is shocked, and then tearful. The first ‘King of Pop’,also being the last one has been gone, ever and never back. Oh god,why your kind and merciful hands not give this great man any longer life? Listening the song ‘ Bad ‘, ‘ Beat It ‘ which had given me much joy and pleasure in my school life, tears come out from my eyes quietly and unstopped. Thinking not any more songs would be in the earth, now Michael, god and more kind people in heaven would be your audience this time. Showing them your natural talent, heaven should be your second successful stage. Bye,my lover. Bye, my dear heart. Power Folder Lock is a reliable file-folder-security software that can password-protect, lock, hide and restrict access to any files, folders, pictures and documents at a click. Protected files are hidden, undeletable, inaccessible and highly secure. It hides files from kids, friends and co-workers, safeguards them from viruses, trojans, worms and spyware, and even protects them from networked PCs, cable users and hackers. Files can also be protected on Memory Sticks. Protection works even if files are taken from one PC to another on a removable disk, without the need to install any software. It locks files in Windows, DOS and even Safe Modes. It is Windows7/Vista/2003/XP/2000/NT/Me/98/98S compatible and works on all kinds of disk types like FAT16, FAT32, NTFS. Power Folder Lock is the fastest spreading file-folder-security program in the market today. Power Folder Lock can encrypt, lock and protect your files, folders with password. Power Folder Lock creates encrypted storages. You can keep a great deal of your private files or folders in your storage database and protect it with a password by a single click. You can transfer, secure and backup these storage database. Storage database are undeletable on the computer where Power Folder Lock is installed. Just as code case in physical world, each user can create their own storage database. However, a single user can create multiple storage database with different passwords as well. With Power Folder Lock, you can encrypt or lock files, folders and drives anywhere on your computer. Each storage database can contain your encrypted files as well as your personal list of locked items. Power Folder Lock is suitable for Windows Vista / 2003 / XP / 2000 and is the most popular File Security program today. Unprotected files and folders can lead to theft, data loss and breaches of your privacy, costing you embarrassment, money, lost data, maybe even your job. You may often store passwords or login information in a folder casually, or keep files that are inappropriate for kids or other family members, or files with valuable information that can be stolen or lost. Important files and documents like these needs password protection so that intruders or unauthorized users cannot access, read, copy, move or delete them. No matter you need file protection or folder encryption, Power Folder Lock would be your best choice. There are more and more businessmen working at home but not office now.And they also want to know if they can monitor their business at home.Though monitor software is used generally at office,but it only can monitor computers at the same LAN.So,is it possible to monitor pc in your office but at home? And in a forum,there is a topic the same as I think. Monitor software is not like DVD ripper ,DVD rip software is usually for personal used for dvd ripping ,dvd to avi and dvd to mp4 also,if you are a dvd funs,you will need it. All the montoring softwares are called spyware,also include keylogger. The topic says Is it possible to monitor your business from your home?What would it take for me to be able to visually monitor my business from my home? I already have an on-premise ADT system monitoring my business. I am online at home but not at the business. The ADT rep told me he thought I should be able somehow to go through my ISP (Comcast) in order to set up a system which would allow me to monitor my business from my house use software like spy software. Would I also need to be online at my business? Would I need to have my own website in order to be able to receive images at home?